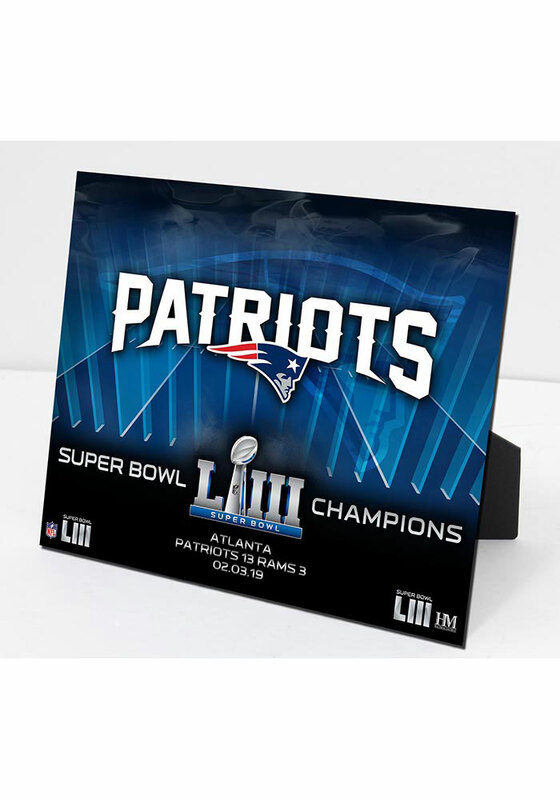 Put a little Patriots spirit on your walls with this New England Patriots Super Bowl LIII Champions 3D Acrylic Plex Art 8x10 Wall Art. This Wall Art features a New England Patriots logo with the Super Bowl 53 Champions title. Commemorate the Patriots victory with this 8x10 acrylic. Each PleXart is delivered ready to hang or displayed on its custom easel back therefore this unique art can be proudly displayed for the perfect touch of Patriots spirit in any room. Go Patriots!